Inventory changes daily, please call for specific unit availability. Premium In-Cab Experience: Industry-leading utility SxS, with a premium RANGER Pro Shield™ Cab that keeps dust out 3x better than its closest competitor with factory-installed Heating and A.C. Undisputed King Of Power: Turn power into productivity with the NorthStar Edition, delivering 82 HP, 62 lb-ft of torque, and 2,500 lb. towing capacity. 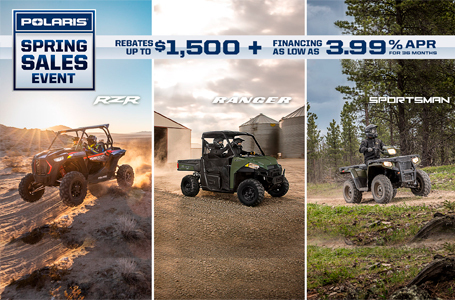 This machine is purpose built so you can haul more, work harder, and get more done in comfort. 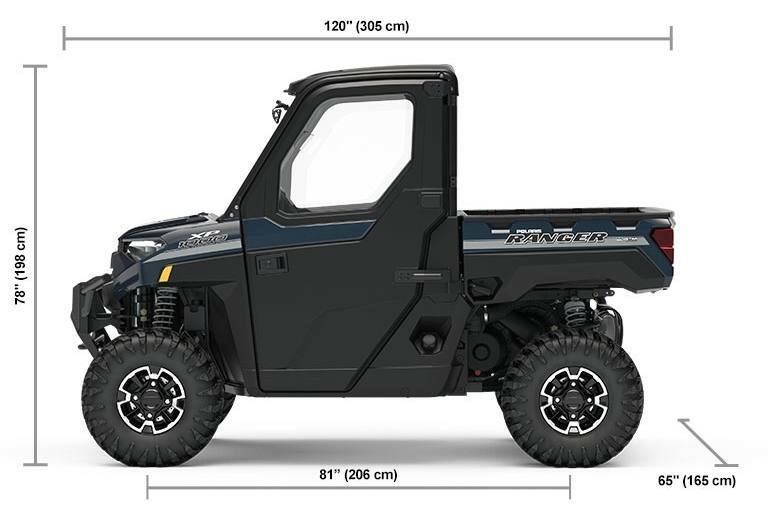 Built To Haul: The NorthStar Edition is built to haul, with industry-leading 1,275 lbs. of payload capacity, innovative storage solutions, and 25% plusher seats. 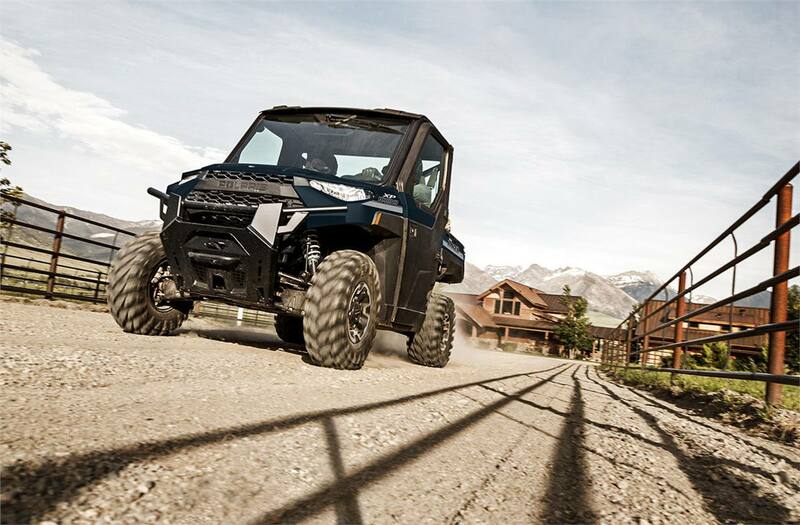 Never sacrifice comfort or convenience when taking this machine out for a day of work or a day on the trails. Precision Never Felt So Smooth: Our new one-piece chassis makes this beast more rigid and more capable of delivering a super smooth ride for anyone who loves to get off the grid. The NorthStar Edition's industry-leading 11" of suspension travel and 13" of ground clearance will conquer the rockiest terrains. Industry's Best Cab System: Large snow falls and freezing temperatures are no challenge for this premium machine. The Premium RANGER Pro Shield™ Cab System and industry-exclusive heat ensure extreme comfort for property maintenance, plowing snow or getting you out on the frozen lake. Fit For A King: The aggressive stance of this premium machine, with 27" 6 Ply Maxxis® tires and 13" of ground clearance, make it fit for a king. The full body skid plate delivers more under body protection from tough terrain and the class-leading 11" suspension travel delivers a smoother ride. 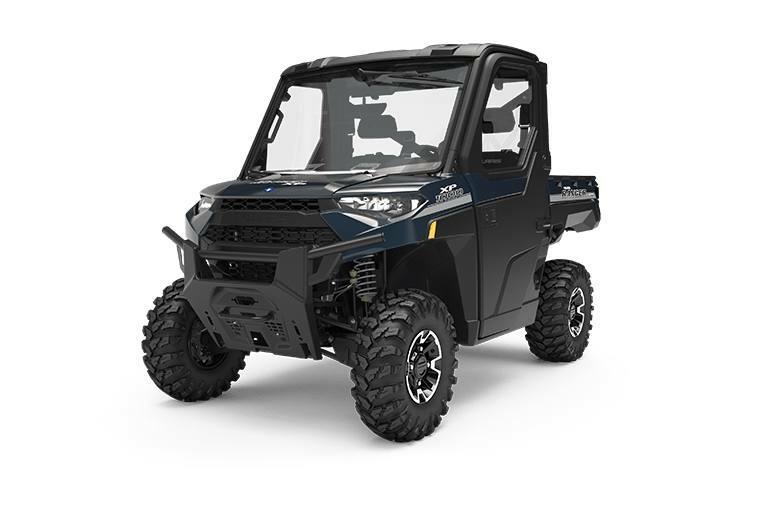 Massive Bumper: The industry's largest stock bumper is designed to bear the brunt of any terrain and protect the new body work and is loaded with accessory integration points. Heavy-Duty Tires: The massive 6-Ply 27" Maxxis tires are taller and wider with a larger footprint, providing outstanding traction and puncture resistance for rocky terrains and cacti on the ranch. 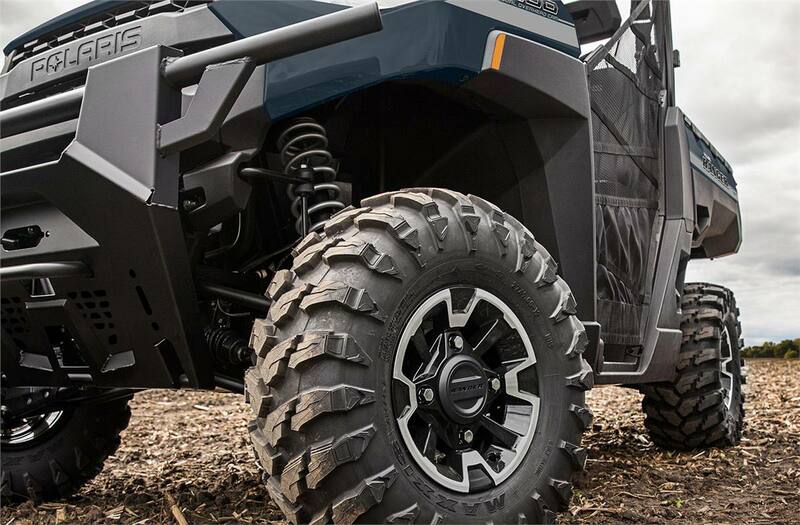 More Protection: When the terrain rears its ugly head, the full-body skid plate and 13" of ground clearance provide the machine with more protection than ever before.